Elba, AL Kleinert's, Inc. has been revolutionizing sweat protection for over a century. Kleinert's Provides Sweat Protection At An Affordable Price That Even Celebrities Use. 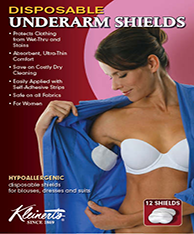 Kleinert's Revolutionizes Sweat Protection Helping Consumers Save Money.